​If you need to mix up a little bit of stucco then having a drill that is designed for mixing materials like stucco, concrete, mortar, then set and so on can be so helpful and it will come in ​handy for so many things, especially for those of you out there that are avid DIYers. I wanted to take a look at what's out there nowadays because I know there is a lot of different choices and sifting through those without any knowledge of what they do, how they work or what to expect can be somewhat of a gamble for some people. I tried to break it down into some of the most popular choices based on ratings, price, reliability and other things to give you a better idea of what drill works better for what and why I chose that particular mixing drill for that category. Let's dive in. ​The Dewalt DW130V had some of the best feedback out of all of the other mixing drills ​out there, from a wide range of sources online including places like Home Depot, Amazon, Lowe's, etc. ​This DeWalt drill had not only the most amount of reviews but out of more than the 130 reviews I found online, the majority of the people gave it a very high rating, somewhere around the 85 percentile mark, as far as power, functionality and longevity goes. ​Everybody seems to really like this particular drill and I'm not sure if Dewalt is just done a better job of marketing it or if a lot of people recommend it but it is, without a doubt the best rated mixing drill out there. The price point was on the lower end of the spectrum but average for these types of drills and it had all of the basic features you would expect a mixing drill to have. ​The Xtremepower cement mixer was my choice for one of the best budget types of mixing drills. I wanted to include a model that was under $100 for those of you out there that may not use one on a regular basis and couldn't justify spending $200 or more on a drill that you would only use a handful of times. ​I chose this model because it met the price criteria that I was looking for but it also had pretty positive feedback from people who have used it and I thought that was an important additional criteria. ​This thing is pretty basic when it comes to mixing drills but it does use the modified "steering wheel" design that is different from the typical design that other ​similar drills use. 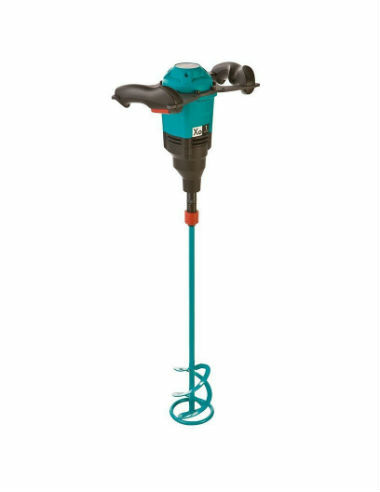 This is a pretty basic drill, you can expect pretty basic functionality from it ​and the price is just right, it has enough power to mix up stucco and other more aggressive materials like concrete so I thought it would be a perfect fit for someone who doesn't want to spend a ton of money. ​The Makita DS4012 made a lineup as being one of the most reliable mixing drills on the market and it is a definite fact, especially if you read through some of the reviews on various retail sites or talk to people who have owned one of these DS4012 drills or a DS4011. ​Makita is ​(argumentatively) one of the best tool manufacturers out there and you can bet that this power mixer is no exception. ​Personally, I have owned one of these in a work absolutely fantastic for mixing all types of loads, just like ​other power mixers ​out there but I use mine for 15 years. These Makita drills are recommended for people who are looking for longevity ​first and foremost and want to know that it will do the job time and time again. ​The Collomix X01 is a brand that most people aren't familiar with but is one of the higher-end models out there and is in fact one of the lower end models of the company's whole product lineup. ​This particular mixer is definitely at the higher end of the pricing spectrum when compared to the rest of the models we looked at but has many upgraded features that some of the other ones don't have either. ​There is not a whole lot of feedback on this particular Collomix mixing drill on various retail sites but it does provide a ton of power, has some of the best ergonomics that you can find in a drill and has pretty cool features like quick disconnect for the paddle and electronic speed control, things that you just won't find in other power mixers. ​The Collomix X055 is one of the top of the line dual auger power mixers out there, not the only one but definitely the best. ​These are extremely expensive and can cost anywhere from $800 and up, depending on where you look. 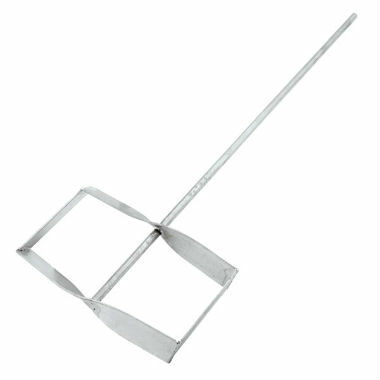 These are extremely easy to use and reduces the amount of time it takes to mix up a batch of mud by at least half the amount of required time it would usually take. ​One very unique feature to the Xo55 power mixer is the fact that the two augers ​spin in opposite directions, which will not spin the bucket as you are mixing like a traditional mixing drill would. To be honest, this is just a really cool drill to have and if you are into the best of the best then this is definitely for you but for most people it is going to be more "eye candy" than anything else. ​As you may have noticed above, there are a couple of different drill configurations or shapes that they come available in ​and it doesn't really make too much of a difference as far as mixing capability is concerned, which one you go with but comfort is really where the design comes into play. Some people prefer the traditional type of mixing drills that are basically shaped like a bigger drill, mainly because that's what they really are and people are more familiar with the design because they had used it for so many years. I'm not sure about ​and it's just my personal opinion on the matter, the only reason (that makes sense) I can see why people may prefer these over the other types. The other types of designs that these mixing drills can have almost reminds me of how you would grip a steering wheel in a car and seems to be much more ​com​fortable, just because your wrists are positioned in a more natural manner. If you do have wrist problems I would recommend going with one of each drills instead of the other ones because you can control the drill a lot more and they don't torque your wrists in the same way that the other standard type of drill configurations do. ​What Type Of Paddle/Mixer Attachment Is Best? 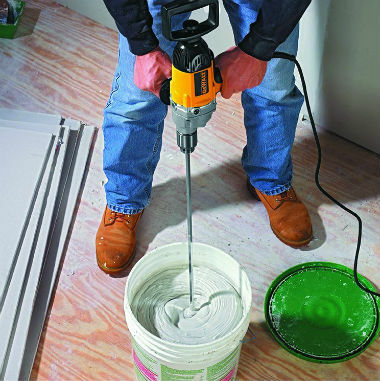 ​After you have your mixing drill you will need to get a paddle attachment for it in order to mix up your stucco, cement, grout, mortar or whatever else you happen to be mixing. When you look at some of the available ​paddles out there you ​can be easily overwhelmed at the amount of choices. A lot of these will work pretty well but I am going to recommend two different paddles just to make things a little less confusing. These are the two that I use on a consistent basis, am familiar with and I know that they work. ​Do I Have To Use One Of These Drills? ​These drills are specifically made for mixing up different materials like drywall mud, stucco, mortar, concrete and so on and are geared specifically for this type of task. Not all drills can do this and in fact you will more than likely burn up one of your drills if you try to mix up these materials with a standard drill that is not suited to handle the job. 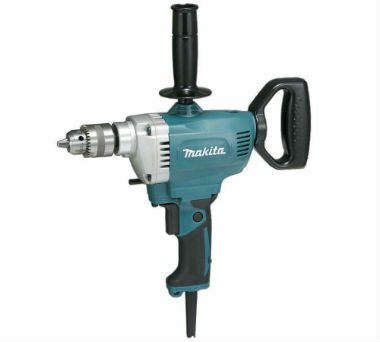 ​No other drill is really recommended for this type of job other than maybe a Milwaukee hole hog, which is intended to drill through wood and is used by electricians mainly. I see a lot of people who think a hammer drill can handle this task because it is a heavier duty type of drill but it is prone to the same problems and will eventually overheat, start smoking and may even die in the process. ​Not all drills have the same features, most of them function the same way and have very similar gear ratios and are able to take the abuse that other drills can't but feature wise they can be quite different. 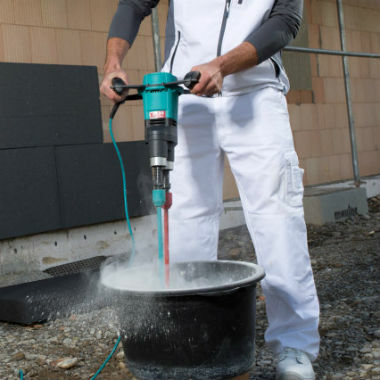 Variable Speed: Some drills have variable speeds that you can use for mixing up different materials, for instance if you were going to mix up a pox he then you would want a much lower mixing speed than if you are mixing up concrete. Having an variable speed trigger or dial can make all the difference in the world and make it really convenient to mix up specialty materials like that. Dual Paddles: Some of these mixing drills actually have two paddles instead of just one and really makes the job go a lot faster (mixing material) and it is a little bit easier on the user because it does not have as much torque as one paddle would. Trigger Placement: You may not think that something like where the triggers located would be that significant but it really is and to make a huge difference. Most of the time the triggers are placed in the standard position, like they would be on a standard drill but some models have them position under the handle, more like the setup you would find on a chainsaw and it is much more comfortable for the user and has a much more natural feel to it. ​Are These Only Used For Mixing Material? ​These are primarily made for mixing different materials but because of the way they are geared so low and have a lower RPM than traditional drills they can also be used for drilling large diameter holes very easily. These drills will tackle some of the toughest projects where a standard drill would fail or overheat due to the high demand of the large drill bit or the toughness of a material. 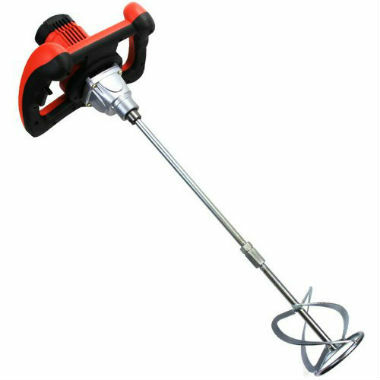 This will be your go to tool for those larger holes as well. ​What Materials Can I Mix With One Of These Drills? 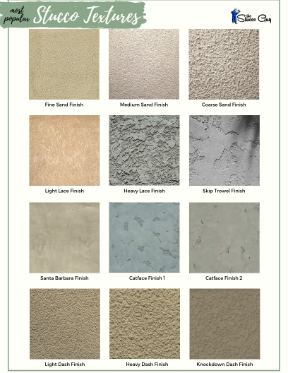 ​These are great for mixing up so many different kinds of material and are mainly used for construction type materials like stucco, mortar, concrete, ​thinset, cement and other materials that are typically used during the construction process. 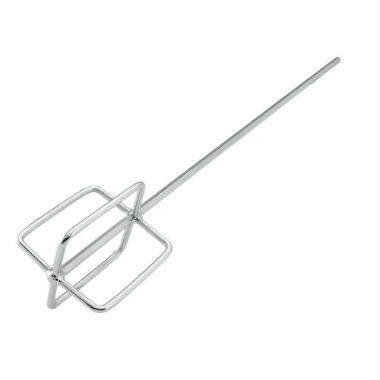 Some people use these for mixing up different materials such as bulk cake frosting or epoxy resins because they operate in a very low speed and have more than enough torque to span some of the toughest, ​thickest materials you can think of.